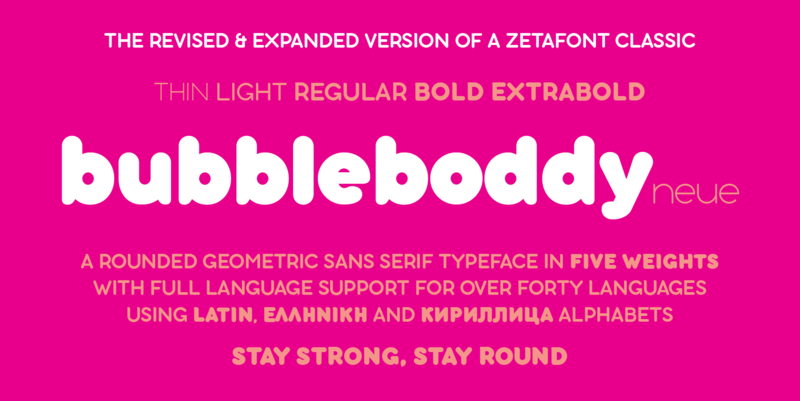 Bubbleboddy Neue is the redesign of one of the first Zetafonts typefaces. 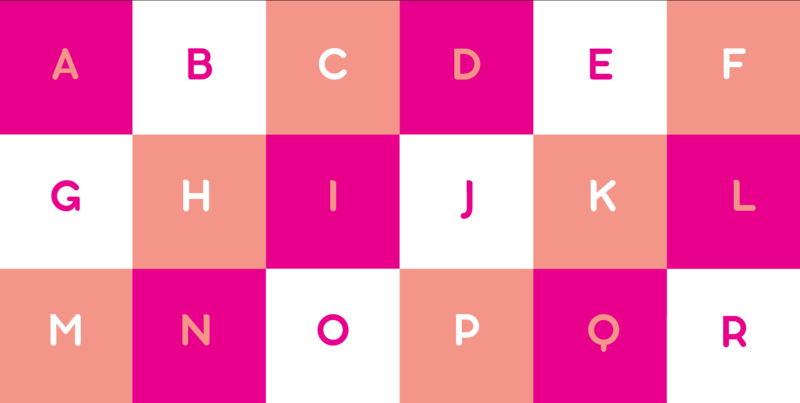 It preserves the original round and chunky flavor and adds three new weights and a complete cyrllic and greek character set to infuse your design with an original 80s touch and all the juicy sweetness of a bubblegum. Born for logos and display use, the family has now got a complete facelift with better readability onscreen for web use and offline for text setting. 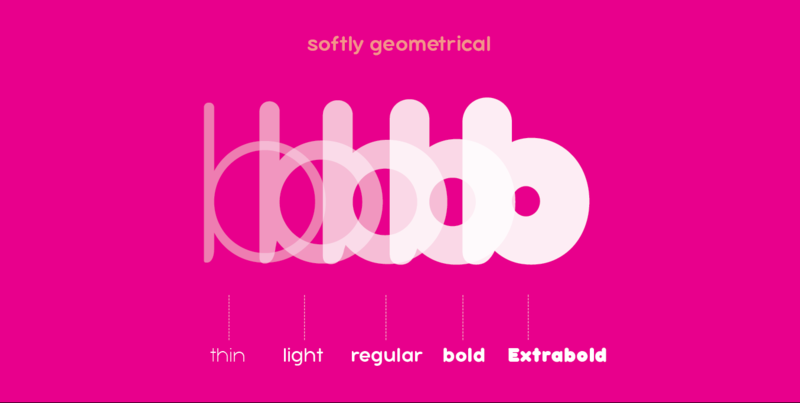 Take care: support and sale of original Bubbleboddy is discontinued, but the two original weights are included as part of the compatibility pack of the commercial version.